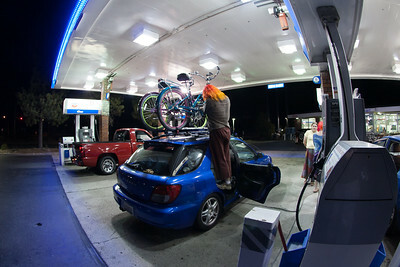 Stopped in Truckee to check on the bikes and fuel up. 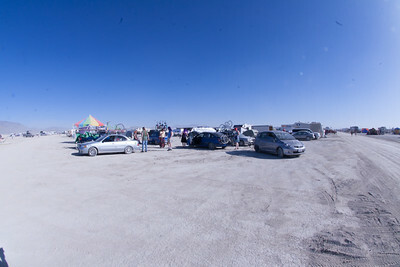 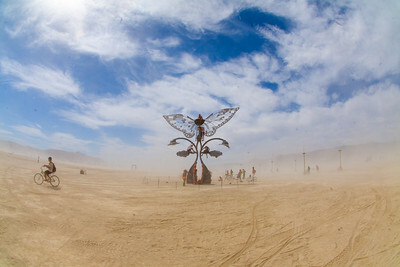 Arriving in BRC for the first time. 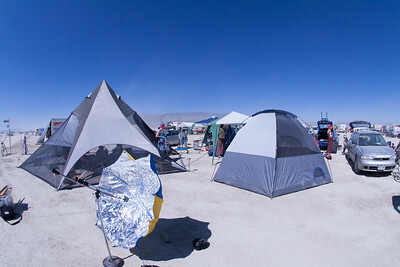 Our camp set up, with living room dome and solar cooker. 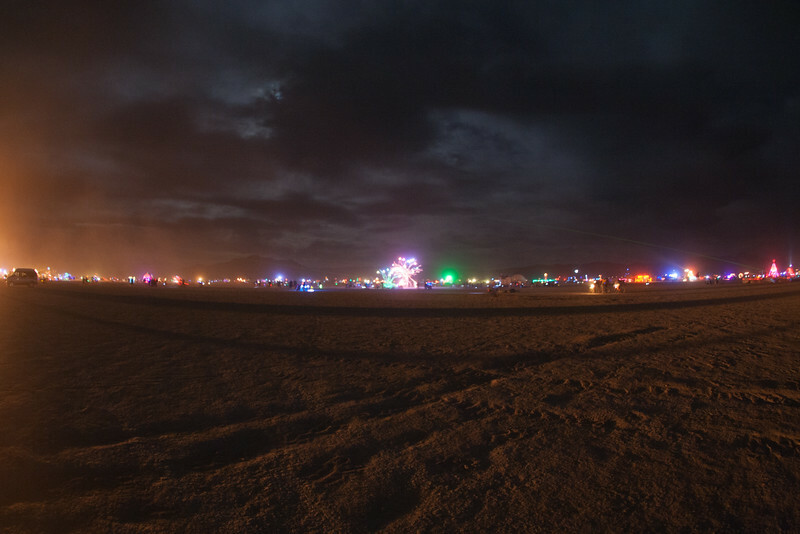 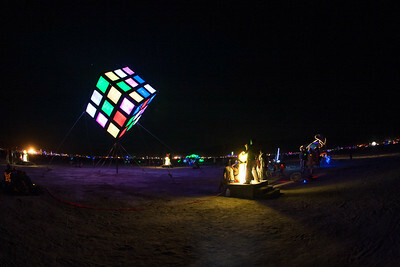 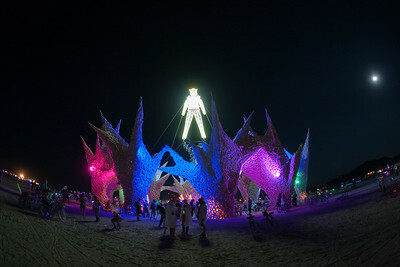 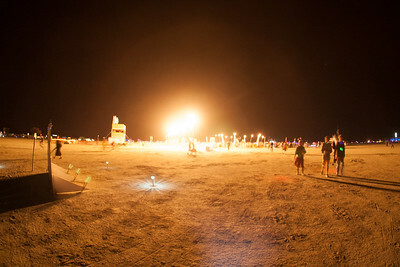 Random fire lighting up the playa at night. 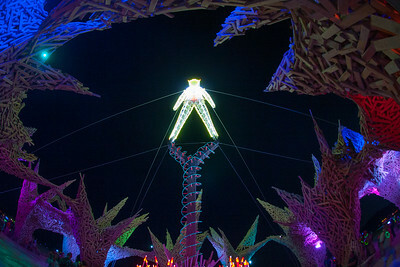 The Man from under the waffle. 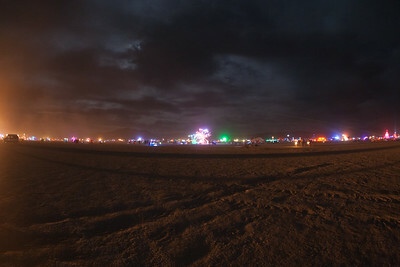 Giant slide on the open playa. 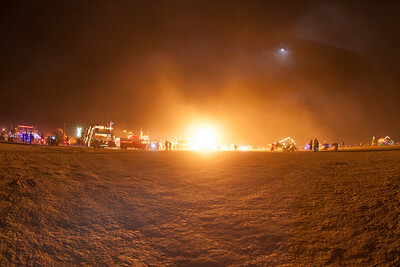 You can see the scale of it by the roup of people to the right of it. 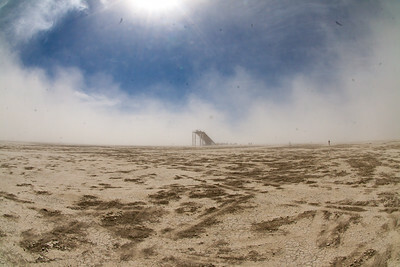 My sensor was covered in grime by this point, since I was still shooting digital in 2009. 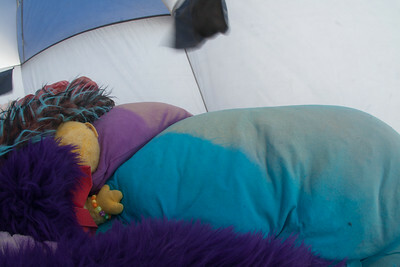 The amount of dust even inside our tent was huge. 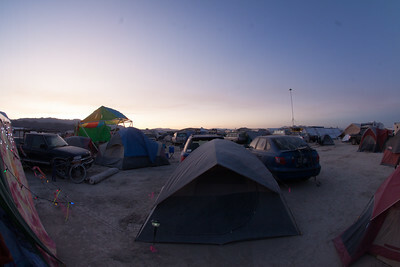 This was the first and last year we lived in a tent on the playa.